Dieter Senghaas is Professor of Social Science at the University of Bremen, FRG. He studied Political Science, Sociology, Philosophy and History at the University of Tübingen, Amherst College, the University of Michigan and Frankfurt University. From 1968 to 1970 he was a Research Fellow at the Center for International Affairs at Harvard University. In 1972 he was appointed Professor of International Relations at the University of Frankfurt, moving in 1978 to the University of Bremen, where he has been engaged in Peace, Conflict and Development research. He was also (1971-8) a Research Director at PRIF (Peace Research Institute, Frankfurt). His publications in the field of Political Science, Peace Research, and Development issues include many monographs and edited books, published in German and in several foreign languages, including The European Experience (1985) and The Clash within Civilizations (2002). In 1987 he received the International Peace Research Award. Chapter 2. Second Section. 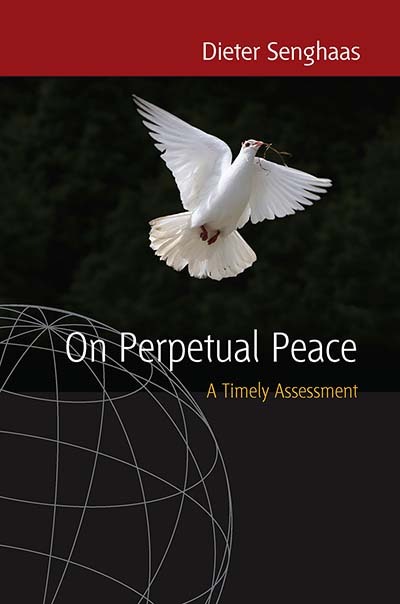 Developing the Definitions of Perpetual Peace ('para pacem'): Through What and How is Peace Constituted Today? Chapter 3. Third Section. Elucidating Conditions for Reasonable Peace: Through What and How does Reason Focused on Peace Constitute Itself Today? Chapter 4. Fourth Section. Commenting on Critiques of the "Civilisatory Hexagon"